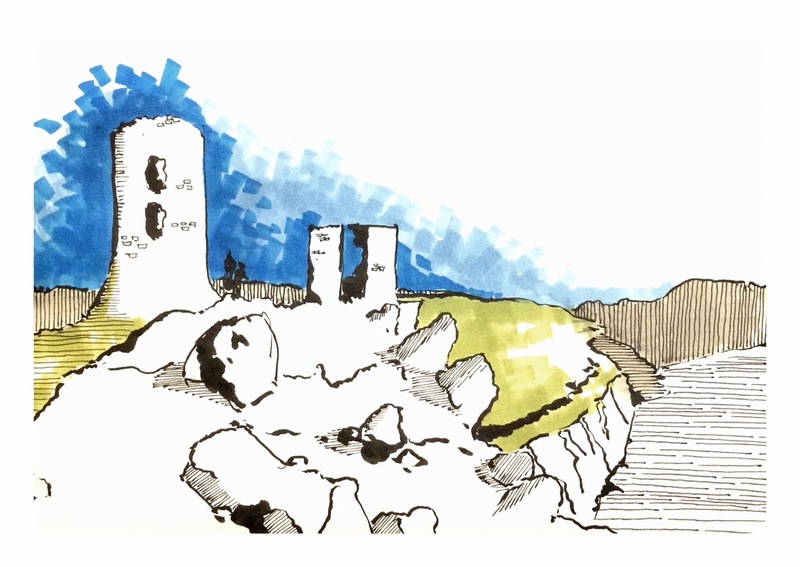 Sketch from a photo of Genoese Fortress in Balaklava City, Crimea, Ukraine. I have got a chance to try some colour COPIC markers from a friend of mine. Tools - Copic markers and Pentel brush pen.